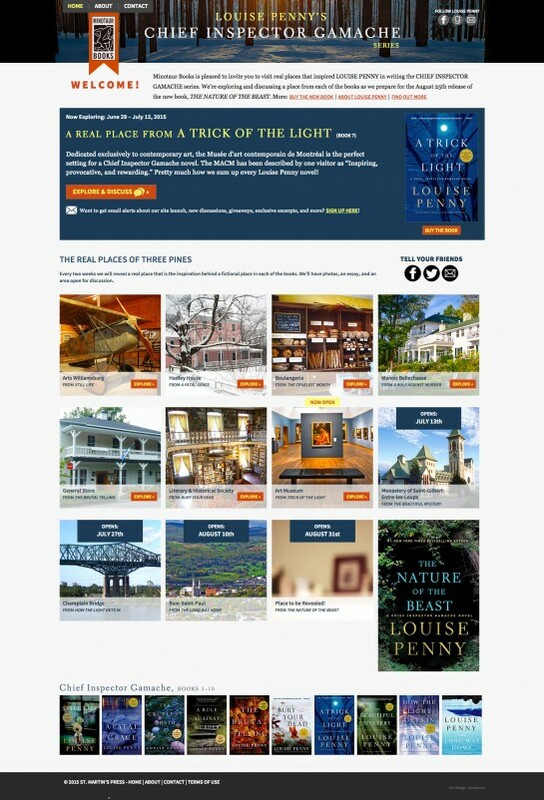 We worked with Minotaur Books to design and build a site for author Louise Penny's series of Inspector Gamache novels. The re-read began with first book in the series and featured book recaps, videos, and a hosted online discussion each week, leading up to the release of the 10th book in the series. The online discussion was successful, with thoughtful comments and discussions between fans of the books. In 2015, we re-designed the site to work with a new campaign "The Real Places of Three Pines" that supports the 11th book in the series.